At Jasda Physiotherapy we know that some facilities like to have their own onsite physiotherapists implement and carry out the pain management mobility programs, however we understand the need for the physiotherapist like to take leave. With 4 weeks notice or more we can help to replace your physiotherapy staff who are taking leave. This is a common issue in aged care where the physiotherapist feels they cannot go away for more than a week or two at a time due to the workload that mounts up and upon return they need another holiday! No leave period is too short. We have had great feedback from onsite physiotherapists and aged care facilities who have utilised our relief service to hold the fort while a physiotherapist is away and not let the work load pile up for their return. More importantly, it provides the continuation of care for residents who are able to maintain their mobility and pain programs and ensures that your dedication to providing high quality care can be maintained when key staff are not there. 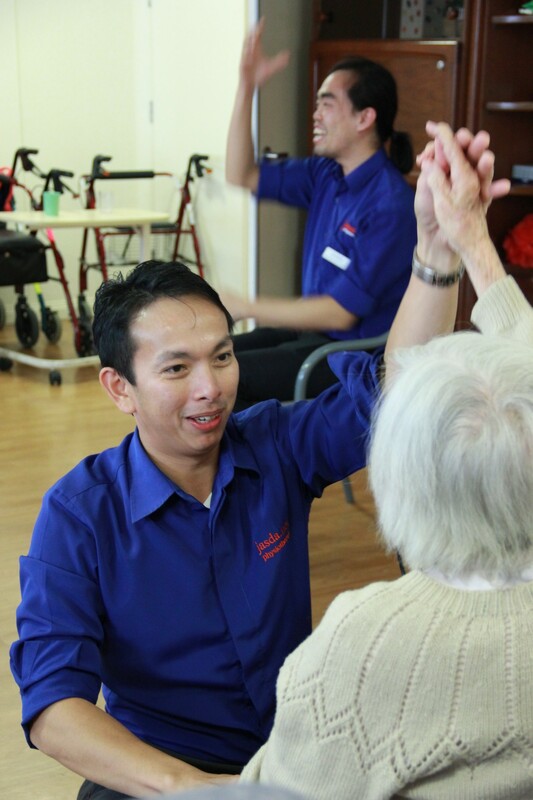 Our physiotherapists deliver aged care physiotherapy programs throughout NSW and can slot straight into your facility with minimal fuss and impact to your daily operations. Uninterrupted high quality aged care services to the residents. Leave coverage of any length. Call us on 9683 2222 or email ho@jasda.com.au us to secure our relief physiotherapist at your facility today. We can also cover emergency leave – we’ll help any way we can.